With the new month comes a fresh update ready for Gears of War 4 from developer The Coalition. As expected, the title’s April Update features two new maps, Hotel and The Slab, a series of versus updates, many bug fixes, and a new Easter-themed mode. Gears of War 4 is ready to celebrate Easter with new events and unlockables for fans. The Coalition will roll out a new bunny-themed mode that will bring back the oversized Bunny Heads from previous games. 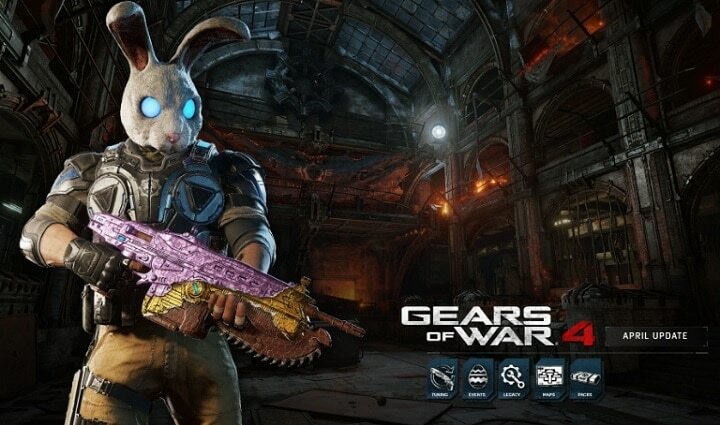 The Bunny Hunt mode also gives players the chance to win a series of Chocolate Easter Egg-themed weapon skins provided they complete challenges from the playlist. Festivities will kick off with ‘Bunny Hunt’, an Easter-themed game mode that brings back the oversized Bunny Heads from previous games into a new variation of Guardian. On top of that, fans will get to unwrap five Chocolate Easter Egg-themed weapon skins by registering on GearsofWar.com and completing challenges in this special playlist! Look out for more information on the Easter Festivities next week as we build up to the big celebration on April 14th. As promised, Kantus has returned to Gears of War 4 with the April Update. PezRadar also confirmed that Kantus is only the tip of the iceberg when it comes to the Locust Horde, meaning more Locust characters will arrive in the near future. 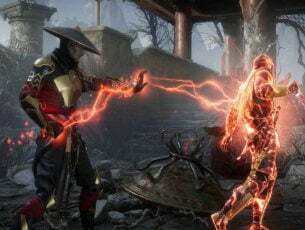 Speaking of which, players now have the chance to find the upcoming Legacy Characters early in this month’s Gear Packs before they become available for Crafting.